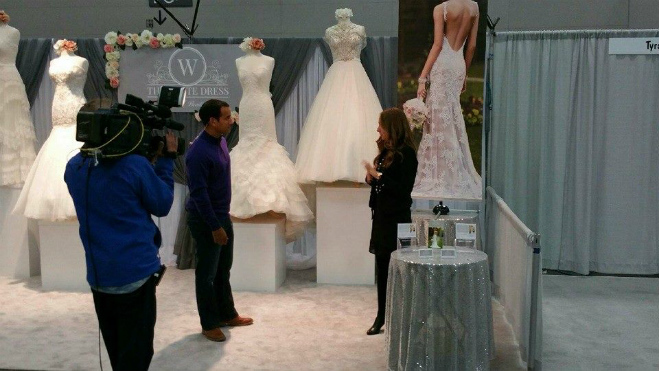 How to navigate the upcoming wedding show season with success - and potentially some big savings! 1. Pre-Register: Hate waiting in lines? So do we. Avoid the ticket line and save a lot of time by registering online before the bridal event. Other perks to registering early? You may also get a free or discounted admission ticket, special door prizes, free gifts and more. 2. Do your research: A few weeks prior to the show, head to the event's website and search for the list of showcasing vendors. Mark the one's you're interested in and then head to their business websites to get a better idea of whether or not their style/brand fits the vision you have for your big day. Narrow down your list of vendors you'd like to meet at the show. We’d recommend coming with a list of 5-10 in various categories you'd really like to connect with. 3. Map it out: Most larger shows provide a map of the vendors' booths, either prior to the show or upon arrival. If the map is available prior to the show (check the show's website), print it out beforehand and mark the location of the vendors you'd like to speak with. Come up with a game plan for how you'd like to navigate the show. If the map is handed out at the show, take a moment, step to the side and map out your route. It's easy to get lost in the excitement, so once there, focus on seeing the vendors you've had your heart set on meeting first. 4. Create a separate email account: Receive all wedding related communication through one account without cluttering your regular email account. Some vendors run exclusive giveaways through email drawings, so it's smart to have a separate one on hand. When you are no longer interested in receiving offers from vendors you can delete your account. 5. Create address labels: Vendors are going to want to collect your information to contact you. Each label should include: Both the bride and groom's names, email address, mailing address, and wedding date. Handing these out is way faster and less overwhelming than having to write it out by hand while trying to steal a few moments to talk with a vendor. 6. Bring a big bag: Vendors always pass out handfuls of materials, from packaged treats to pamphlets, postcards, gift bags and bridal magazines. The shows usually hand out small plastic/paper bags to collect your goodies in, but based on experience, we'd say it's smart to bring your own more substantial bag. 7. Bring a credit card: Vendors usually offer the best discounts at the show, so you'll want to be prepared. If it's a deal you can't pass up, you can book a service or hold a date that day. 8. Bring a notebook/tablet and calendar: Have a calendar handy to schedule follow up appointments with preferred vendors. There will be a lot of vendors present. Take notes so that you remember who you like and who may not be a contender. 9. Bring friends and family along: Since their opinions matter the most, bring loved ones with you to bounce ideas off of or to even help you carry the items you've collected throughout the show. Try keep your entourage small, so you can easily navigate the booths and focus on connecting with vendors. 10. Wear comfortable shoes: These shows involve a lot of walking and standing. Be sure to wear comfortable shoes to keep you moving from booth to booth, so you can make the most of the day. 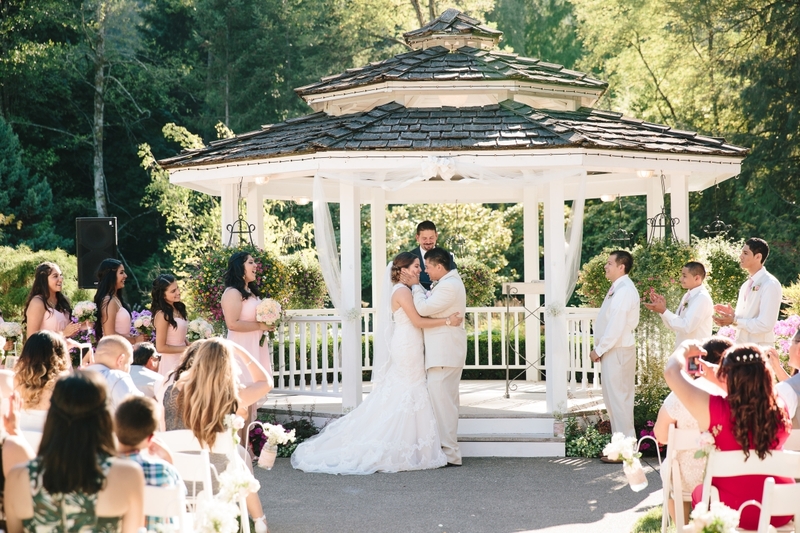 Since 1979, the Portland Bridal Show's goal has been to bring together the very best local wedding professionals in the Portland-Vancouver area, all in one place, in order to ease the stress of planning your dream wedding. 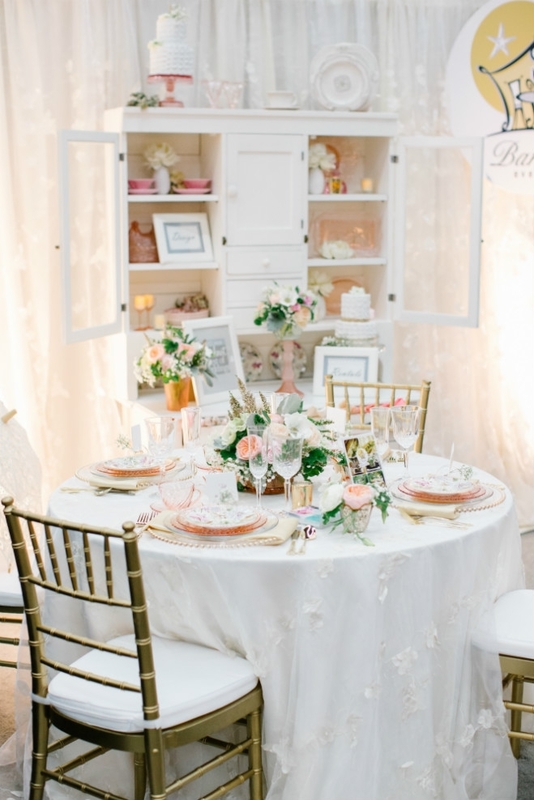 With spectacular runway fashion shows, delicious tastings and displays from the area's most trusted wedding professionals, you will find everything to make your wedding day extraordinary. You’re only a week away from the big day and the stress factor is rising. In these anxious times, be sure to take care of yourself and still get your beauty sleep -- can't have under eye bags and puffy lids on your wedding day. A destination wedding can make your big day more enjoyable for everyone involved. Give your friends and family the lay of the land with a watercolor map.